Food is a big thing in Italy. They take is quite seriously. There is a sense that things need to be done correctly and must be enjoyed in the proper way. Sauces and pasta shapes are paired and wouldn’t be served otherwise. Wine fits to the meal as well. This was definitely a sense that continued as we headed out from all the food in Bologna to Modena to learn about balsamic vinegar. It was an interesting morning of science and a bit of food snobbery. We were told that we would get to see how this complicated vinegar was produced. I was actually a bit disappointed in the lack of scientific rigorous discussion there was. We were at Gelato University a few days earlier and they had a gadget that measured the sugar content of fruit. Our explanation of Balsamic Vinegar was interesting, but explained in a reverent and almost mystic manner. The basics of it are this. Grapes are mushed together and let stand in a special “mother barrel.” Very specific local grapes that is. Then the liquid is put into a cascade of barrels and let sit. There are holes in the top of each barrel covered with a bit of cloth to keep out the dust. Each year the liquid in the set of barrels is reduced (the missing part is called the “angel’s share” ooo mystic descriptions). Each barrel is then used to fill in the next smaller barrel starting at the small end. Each barrel then ends up with less and less until the largest barrel is just refilled from that years’ mother barrel. The wood that the barrels are made of affect the flavor. 12-25 cycles of this and you get traditionally made balsamic vinegar in the small barrel. I was totally into the science of this. Letting sweet grape juice open to the air should produce alcohol as well I would think. We learned about open fermented beer at Cantillon in Brussels, and this wasn’t so much different. Why does it produce vinegar instead of wine, I wanted to know. Our guide was nice, but not at all prepared for my science talk. So I went looking on my own. Looking for me apparently means searching for wiki articles and getting distracted along the way. Vinegar apparently is an acid produced by a certain type of bacteria in a process that seems quite similar to yeast producing alcohol. Perhaps there really is alcohol that gets produced, but I expect it evaporates off in that yearly “angel’s share” (the Angels know the good stuff?). Acid though would remain. The process does seem similar to wine given the influence of the wood on the taste and the start of process being with a grape juice. Vinegar can come from just about anything that has the sugars which can be converted into the acetic acid, though Balsamic is always grapes and the traditional production always a specific type of local grapes. 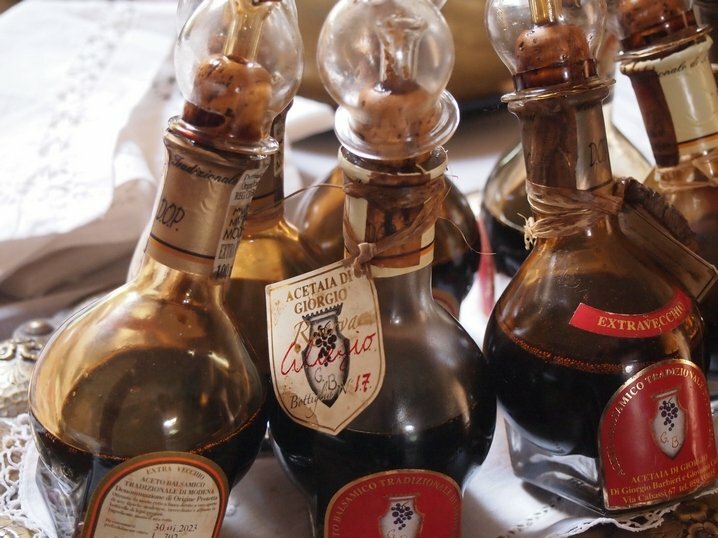 The different processes of making balsamic vinegar seem to me to just be using different levels of science knowledge, though definitely create different types of product. A mass producer just adds the starter bacteria and swishes it around until all of the stuff is vinegar, adding colors and flavors as needed. The more traditional processes wait for this to work out more naturally. As in most things, the modern way certainly gets you to the end result faster, but without any of the subtlety. I am not a foodie. I quite like basic food and simple flavors. I do not have the sophisticated palette of a chef and had thus a difficult time appreciating all of the subtly different vinegar types we tried. I did get a good snicker about the plastic tasting spoons after the long discussion of the traditional nature of the making. And yet I was surprised how much I could taste. 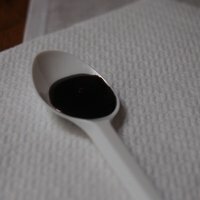 Balsamic Vinegar is a lot smoother and sweeter than the vinegar that I was used to from North Carolina BBQ sauce from my hometown which can be really sharp. I could also taste differences based on certain woods. The oak was a different taste than the juniper. Not that I could pick it out of a taste test, but I definitely liked some better than others. I especially enjoyed the cherry-wood set that was supposed to go well on gelato or with chocolate. 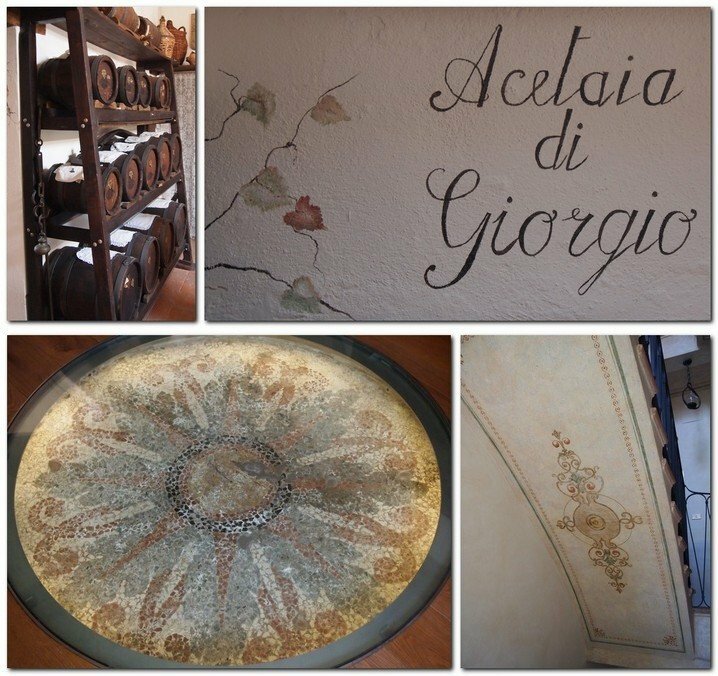 I did enjoy our few hours learning about Balsamic Vinegar and its attachment to the region, its families and its history. 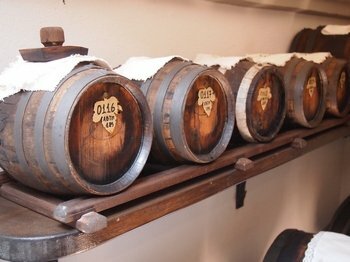 The creation of this special liquid is very much a part of the town of Modena. There are even classifications of protections for producers in the area as well. Several types in fact. 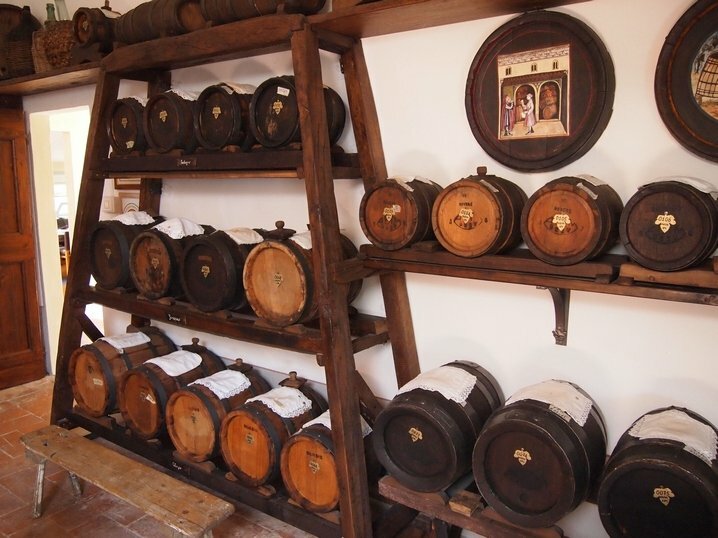 The most protected version of the vinegar is only produced by a group of families in the region. And they only produce it in their family houses. The day we spent was in one of these houses. We tramped through their house up a number of fancy staircases into the attic. Even in the entry, there was a mosaic under glass. Our guide spoke reverently of how her grandmother made vinegar the same way. Everything about the trip showed how much pride they have in producing something in the traditional manner. This was a good experience for the beginning of our time in Italy. Balsamic vinegar came up a couple of different times on our trip and it really did help to have done this learning ahead of time. In Rome on our food tour there, I did learn that I like the so called “Original Process” better than the “Traditional Process” we learned about in Modena. I just do not have the refined tastes to get my money’s worth out of the more expensive bottle. And yet, I can totally tell the difference between the “good stuff” form Italy (either of those processes) and the 2Euro bottle from the grocery store here. So I must have learned something along the way. Our tasting was arranged through the Blogville project. There was a couple from a restaurant from New York interested in buying as well, so it must have been possible to arrange them independently as well. I did enjoy my morning, but I think I might have gotten just as much out of the tastings in the market in Rome. In any case, it is a really fascinating part of the Italian food landscape special to Modena. Check out Ali’s perspective here. Thank you to BlogVille and Emilia-Romagna Tourism for arranging our vinegar tasting. As always, all opinions are my own.